It's time for the mid week inspiration at Aloha Friday Challenge and the theme is Easter. 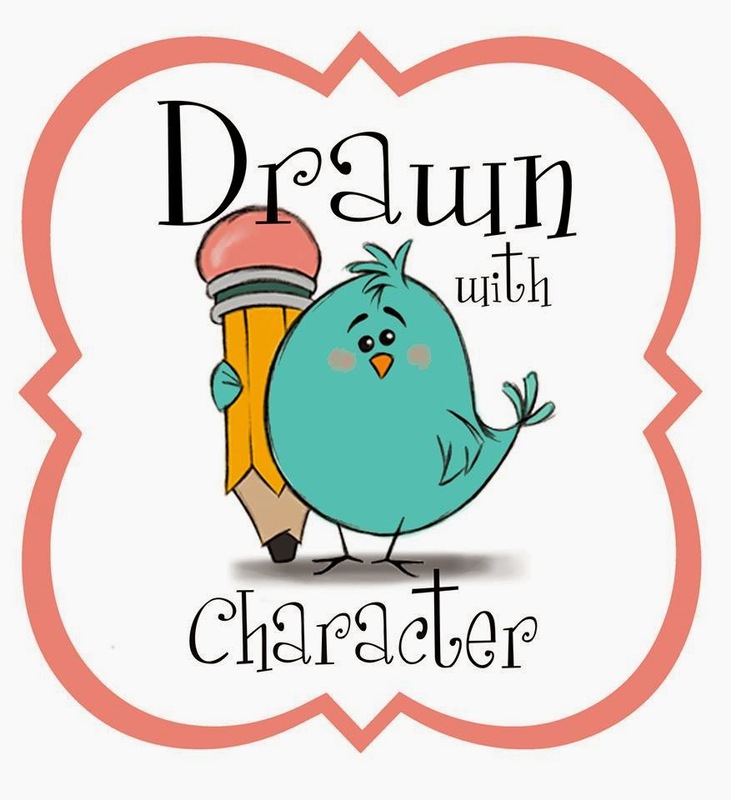 We've got 2 great sponsors for the challenge, The Paper Nest Dolls and Drawn with Character! 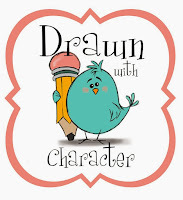 My family doesn't celebrate Easter so I picked an image from Drawn with Character that could be used for Easter or spring. This little chick dancing through the grass and flowers is just too cute! I'm trying to get through the large hoard of DSP I have, so I used some old SU DSP that I had. 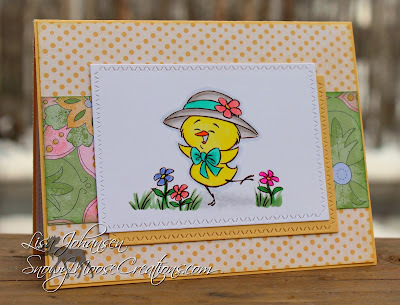 I thought the yellow combined with the flower DSP gave the card a nice spring feel! Head on over to the blog to see the inspiration from the rest of the DT and then play along with us!